We provide access to state-of-the-art DNA and RNA analysis instruments, methods and applications, and in particular next-generation sequencing. 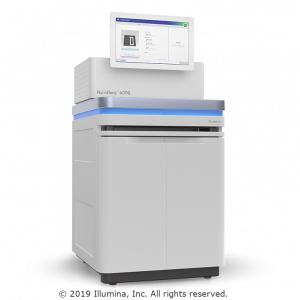 The Genomics Core provides access to the latest Illumina next-generation sequencing (NGS) technologies. These allow unbiased genome-wide experiments to be performed that enable researchers to see, at base-pair resolution, what the underlying sequence differences are in cancer genomes. The core also provides library preparation services for genomes, exomes, transcriptomes and ChIP-seq experiments. We offer a variety of genomic services full-service (where we do the work) and some that are self-service (where you get access to equipment and/or reagents and/or consumables but do the work yourself). Other laboratory equipment in the core is available for trained users and requires booking through PPMS booking system. If you have any questions please email our Helpdesk or see Contact us.